When I moved to Mississippi from Michigan less than two years ago, I was delighted by the warm reception I received from so many. I was welcomed mightily. Thank you to the funding community, including-foundations like the CREATE Foundation and Phil Hardin Foundation, to companies like Ingalls Shipbuilding, Entergy Mississippi, and the University of Mississippi Medical Center, for also welcoming me. And in my travels across this great state during my early months here, I also met with folks from community colleges and four-year colleges and universities. I also met with public school systems, the Mississippi Economic Council, and economic development corporations. I found that organizations like Hope Enterprise Corporation, Mississippi Center for Justice, Parents for Public Schools, and the Mississippi Women’s Foundation, opened their doors and hearts to me to share their dreams for Mississippians. In my extensive quest to get to know my new home state, through hundreds of conversations, coffees and meals with new colleagues and friends, I discovered that no matter what part of the state you’re from, or from which sector of society you’re working, you share the same goal: a commitment to elevating Mississippians. And, in particular, creating a stronger Mississippi by helping more of our young people to obtain postsecondary credentials, college certificates, and degrees that lead to meaningful employment. I joined the foundation after a 21-year career at the W.K. Kellogg Foundation. My wife Robin and I came to Mississippi in large part because we were motivated by the commitment we saw in Mississippians toward their young people. I took on the role of CEO at Woodward Hines precisely because I shared the belief in its mission that postsecondary credentials and opportunities to strengthen our workforce are vital to the economic prosperity and well-being of any community. From my travel from the Gulf Coast to the Golden Triangle, I’ve observed that while talent is evenly distributed throughout the state, opportunity is not. The Woodward Hines Education Foundation is committed to working with public and private sector partners to identify programs, practices, and policies that will allow us to unlock the prolific potential of all Mississippians. Our plan is to make smart investments that encourage higher graduation rates for Mississippi students and support access, persistence, and completion of degrees, certificates, and credentials. Our work at Woodward Hines includes our Get2College program which provides college planning services in our three centers in Jackson, Ocean Springs and Southaven as well as virtual resources to support students and parents statewide. The Get2College program provides individual counseling and group workshops on college admission, ACT preparation, and financial aid to upwards of 45,000 students and their families and supports high school counselors across the state every year. 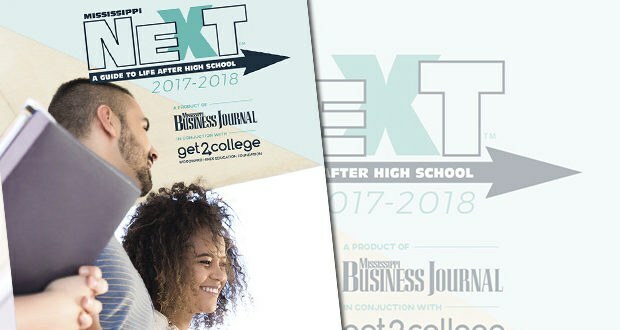 The issue of NEXT Magazine: A Guide to Life After High School, enclosed with this Journal, is one way we anticipate spreading the word so that more Mississippians will think about post-secondary education. Read the full article at msbusiness.com.